As a company we strive to be involved at an early stage in long term or short term projects. This enables us to offer the full benefit of our experience with regards to the limits/performance of our material ensuring you can get the most out of designing any new scheme. 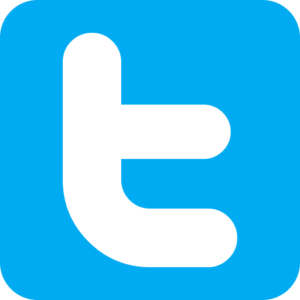 We will help you with advice and information enabling you to select the right product for your project. We will guide you at each stage from planning to completion, and will finish off your project with an installation of the highest quality. Our product is very versatile regarding design and you will find it will add an excellent new dimension to any surface. Aesthetically it is very pleasing to the eye and pleasant to the touch which makes it a great choice in sensory areas. Here are the colours we offer at present. 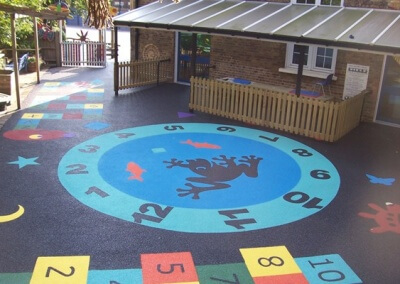 It has become more important that schools and public play areas be made safer for children, which is the number one reason why wetpour rubber flooring is chosen to fulfil such requirements. 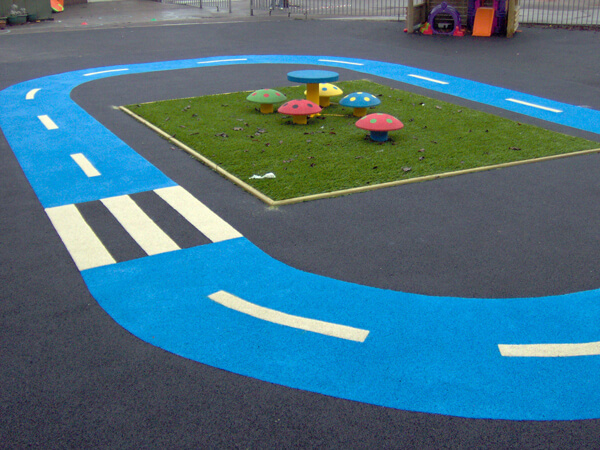 Not only is it safe in wet and dry conditions, our safety surfaces offer a high level of durability and are the ideal solution for reducing the risk of injury from a fall. Our product is tested to British standards and meets critical fall height requirements for levels of fall up to 3m. 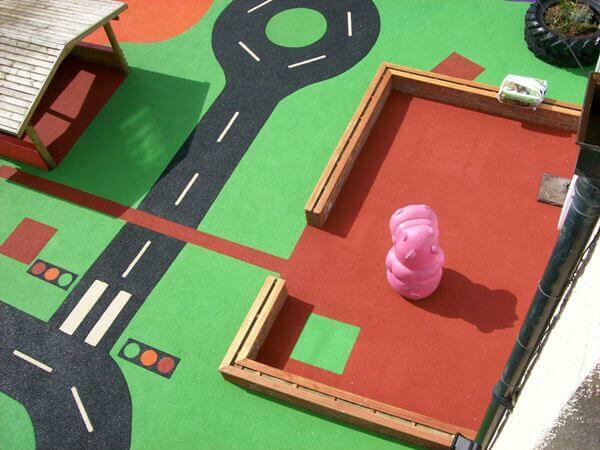 Abacus safety surfaces were predominantly used for children’s play areas, however due to their low maintenance, wheel chair friendly finish and impact absorbing properties, they are becoming increasingly popular in care homes, hospitals and recreational areas. We also cater for sports facilities such as driving ranges, tennis courts and walkways. Our wet pour rubber is easy to clean, durable and resistant to heavy use which may apply to gymnasiums, golf walkways and sports halls where they would be resistant to studs and other specialised footwear. Pool surrounds and water play areas are another popular use for our surface due to its slip resistant properties and porosity. When it comes to flooring we really are in our element.